Chinese Martial Arts can be separated into several categories, one of which you may come across is the distinction between the Northern and Southern styles. Northern styles feature longer stances, more jumping, higher kicking and are noticeably more acrobatic than Southern styles. When performing traditional forms, stylists from the north will use up a lot more space than their Southern counterparts. Fujian White Crane practiced at WCA is a Southern style. It is said that a Southern style practitioner needs only the space it takes a cow to turn around in to perform their forms. Features of Southern styles are shorter steps, low rooted stances, tucked in elbows and close in techniques. There are several primary reasons for the geographical differences in the evolution of Chinese Martial Arts. Northern Chinese tend to be taller than their Southern cousins, their body types are more suitable for the longer stances and higher kicks seen in their styles. The south of China has less open plains than the north, meaning less space to perform (and fight) in. It is also said that Southern styles were developed with combat aboard boats in mind, so keeping rooted stance and both feet on deck would be vital. 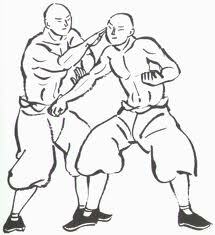 The geographical distinction of Chinese Martial Arts is just one of many important ways in which they are categorised. I’ll be covering more in future blogs. Previous Previous post: What’s in a name…?